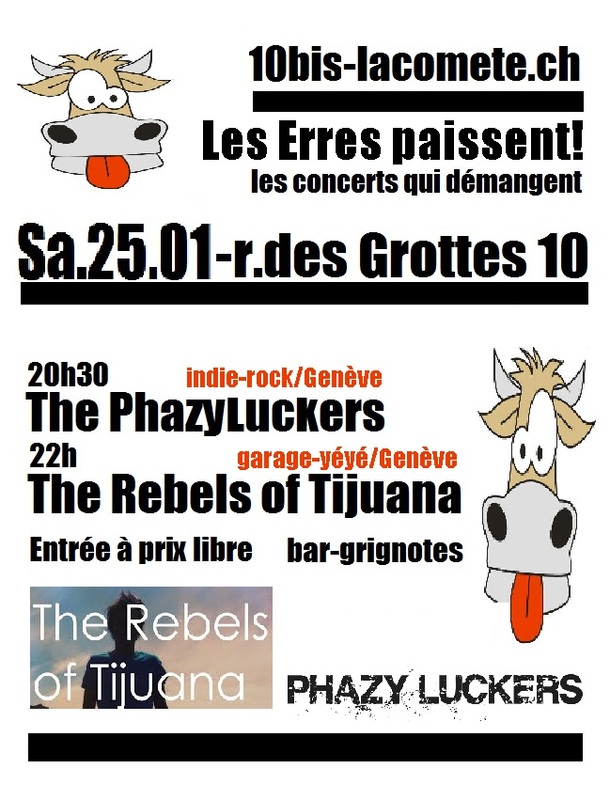 Yes indeed, the PhazyLuckers will be braving the wintery elements and playing at legendary venue, number 10bis, rue des Grottes, Genève on 25 January 2014. Come along, enjoy the music, atmosphere and ridiculously cheap beer. We’re delighted to have been invited by our friends at Lacomète to what is a unique, and now the only one of its kind in Genève, venue in the heart of the city. We can’t promise cozy log fires, but we can promise a generous helping of Phazy-fire!